Want to change, reset or permanently delete an Apple ID ? 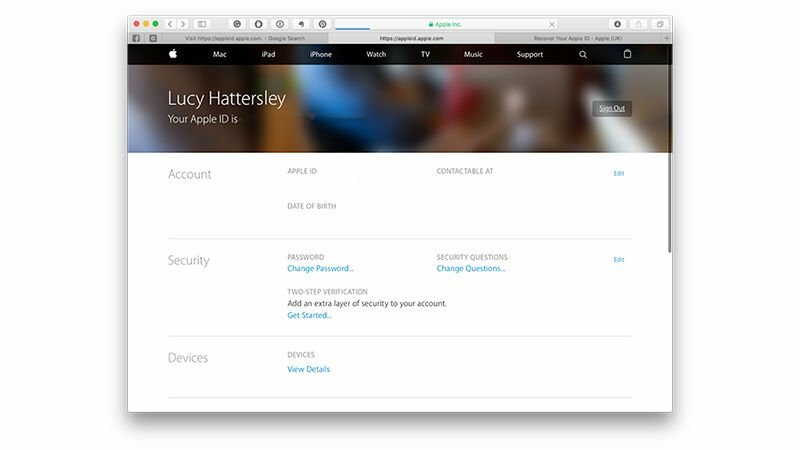 We show you how to change or reset an Apple ID. Can I change or reset my Apple ID? And is it possible to delete my Apple ID permanently? You can’t get far in the world of Apple products and services without an Apple ID. You’ll use it to access a plethora of services, such as iCloud, Find My iPhone, iTunes Match and Apple Music, as well as make purchases from iTunes and download Podcasts. If you own an iPhone, an iPad or almost any other modern Apple device, sooner or later you’re likely to end up with an Apple ID. This essentially consists of a single login, your Apple ID – often your name followed by iCloud.com, me.com, or mac.com – and a password. We’ll assume for now that you’ve already got an Apple ID (if not, read How to create an Apple ID). But what happens if you want to change your Apple ID account information, its password or the details associated with it? 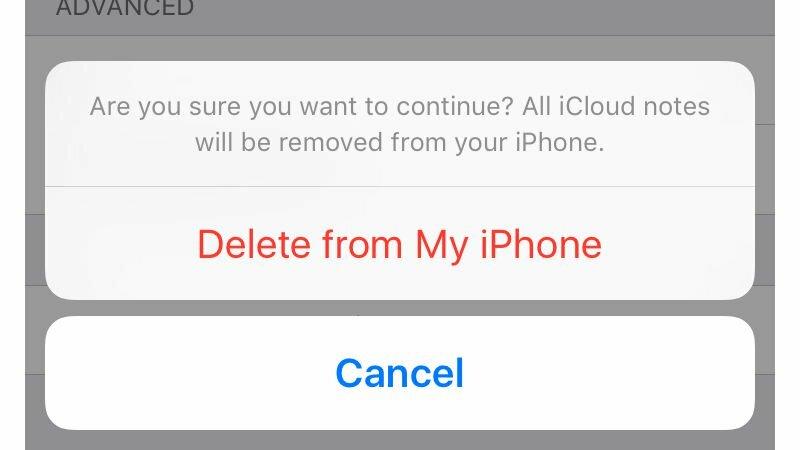 In this article we explain cover all of this, as well as how to delete your Apple ID permanently. Changing most of the details attached to your Apple ID account is as simple as clicking the Manage Your Apple ID button on the Apple ID web page, logging in, and clicking Edit alongside whatever detail you’d like to chance. You can also do this on a Mac by clicking the Account Details button within the iCloud section of System Preferences. On an iOS device, open the Settings app and tap your name at the top of the screen; then tap ‘Name, Phone Numbers, Email’ or ‘Password & Security’ depending on what you want to edit. 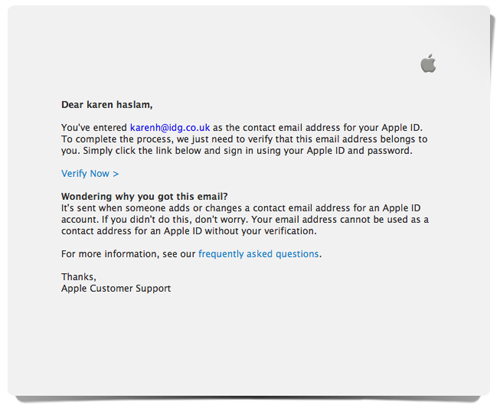 Apple recommends you change your Apple ID to your current, working email address. This will not create another Apple ID, it will only change the associated email address. Go to My Apple ID, click ‘Manage your Apple ID’ and sign in. With the Name, ID, and Email Address drawer selected, click Edit next to Apple ID and Primary Email Address. Now enter your new email address. Make sure that the new address you enter isn’t already associated with another Apple ID. Note: Apple IDs that use email addresses ending in @icloud.com, @me.com, or @mac.com cannot be changed to another email address. If you no longer use an email address of this type, be sure to add your valid email address as an additional email address. Apple even goes so far as to recommend that you don’t use an address that ends in @mac.com. @me.com, or @icloud.com as your Apple ID. 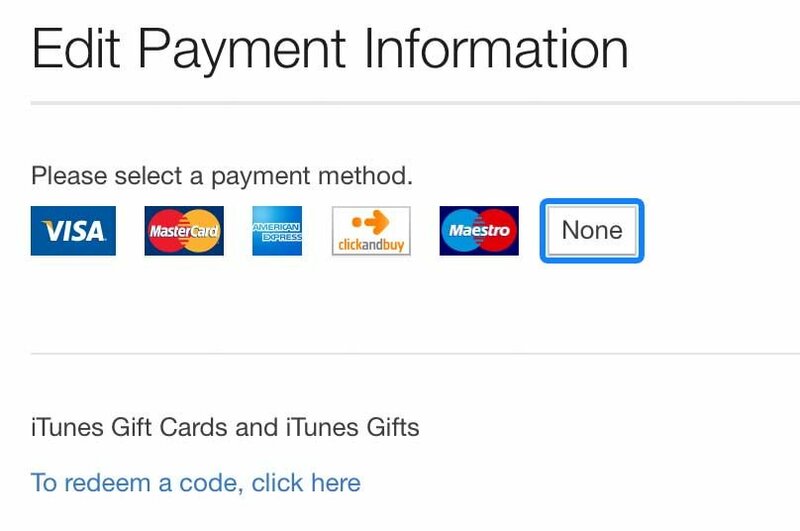 You will receive emails whenever you pay for content on the iTunes and App Stores. You will also get an alert if your password for the ID is changed, if Find My Device is used, or if your Apple ID is added to a new device. As long as you are receiving these emails somewhere you are likely to notice them, which means you will know if someone has hijacked your account. If you do not use the email address regularly the risk is greater. If you need to change the primary email address associated with your Apple ID you need to go to the My Apple ID page. Select Manage your Apple ID and sign in. When you arrive at the Edit your Apple ID page you can select Edit beside the details of your Primary Email Address. Replace the email address and then confirm it. If it’s a new address you’ll need to verify it: Apple will send you a notification to that email address. You can also add an additional email address to the account and also receive notifications there. Click on Add Email Address, input the email address and click Save Changes. A verification email will be sent to that account, you just need to verify it from that account and you’re all set. If your email has been compromised or you have changed jobs and with it your email address, you may need to change the email address associated with the account. Log on to the My Apple ID website. Select Manage your Apple ID and sign in. You can also add an additional email address to the account and receive notifications there too. Click on Add Email Address, input the email address and click Save Changes. A verification email will be sent to that account. Should you attempt to buy something, or even download something that’s free, you’ll be walked through the process of adding a payment card – either a debit or credit card. If you don’t want to add a card then simply click or tap the None entry in the list of possible payment types. For most everyday tasks there isn’t a mandatory requirement to have a payment card associated with your Apple ID. Open the iTunes Store app, then scroll to the bottom and tap your Apple ID. Tap the Payment Information entry in the list, and input the details. Open iTunes, tap the Music icon at the top left, then tap the Account entry under the Music Quick Links heading at the right. Tap the Edit entry alongside the Payment Information link, and input the details. If you forget your Apple ID password, visit Apple’s iForgot website and enter your Apple ID username. If you haven’t activated two-step verification then you’ll be able to choose to reset your password by either responding to an email sent to the addresses you provided when you signed up for the Apple, or by providing answers to the three security questions you were asked when creating the Apple ID. You’ll also need to provide your date of birth when using the latter option. When choosing the email reset option, note that you only have three hours to respond before the reset request is cancelled. If you have two-step verification activated then you’ll be prompted to enter the recovery key created during activation of two-step verification. Once you do, a verification code will subsequently be sent to one of your trusted devices, or texted to your phone. Without both this code you can’t reset your password. If you’ve lost your two-step verification code as well as forgetting your password then you’re out of luck. Apple says the only way forward is to start from scratch with a new Apple ID. Even Apple’s support network is unable to verify a user’s identity. 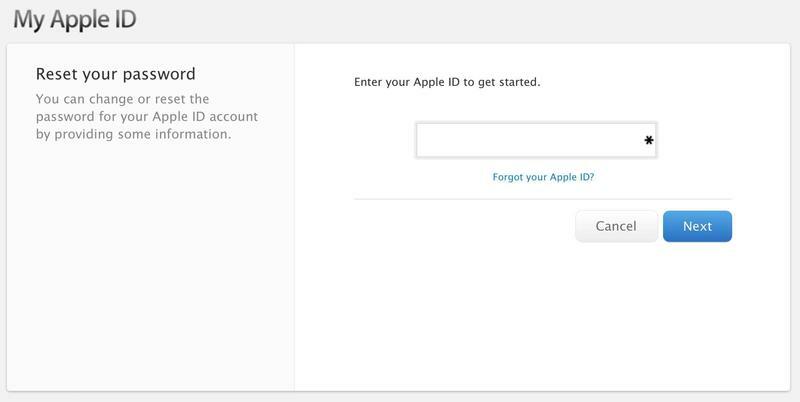 If you’ve forgotten what your Apple ID username is, there are a few ways to find out. If you use your Apple ID when buying apps and music on your iPhone or iPad you’ll find the details of your Apple ID in Settings > iTunes & App Stores. Your Apple ID can also be found in Settings > iCloud > Account. Alternatively, visit the iForgot page and click the Forgot Your Apple ID? link. You’ll then be prompted to provide your first and last names, and the email address used for the account (as well as older email addresses also registered with your Apple ID, which can be useful if you’re also unable to access your email). A password reset email will then be sent to the email addresses used for the account. If two-factor verification is setup, you will again be prompted to enter the recovery key, as in the steps above describing forgetting your password. Once again, there is no way of bypassing this. If you find your account is disabled or locked for security reasons – perhaps you’ve tried too many incorrect passwords – then following the steps above to change your password via iForgot will also have the effect of unlocking the account. However, note that Apple sometimes locks accounts for 24 hours if too many unsuccessful password attempts are made, and the only option is to wait. Again, if you have two-factor verification enabled then you’ll need to provide it in addition to a code sent or texted to one of your devices. In light of ongoing privacy concerns, many people are starting to rethink having so many different accounts. Apple is much more careful about when it shares information with other services, as this open letter from Tim Cook makes clear. But if you’ve decided that you don’t want to leave an account in Apple’s hands then this guide will help. Can I use an iPhone or other Apple device without an Apple ID? You don’t need an Apple ID to use any Apple device. Your Mac computer will continue to work, as will your iPhone and iPad. However, any content that you’ve downloaded from Apple requires your Apple ID to work, so you won’t be able to play movies you’ve bought from the iTunes Store. You won’t be able to use apps downloaded from the App Store, or install new apps on an iOS device. But you can still install and run programs in macOS downloaded outside of the App Store. You can’t actually delete your Apple ID, as this Apple discussion post explains in detail. But what you can do is remove all of your information from Apple. So if you’ve decided that enough is enough, and you want to get rid of all your Apple ID completely, keep reading. Open iTunes on the Mac. Choose Store > View Account. 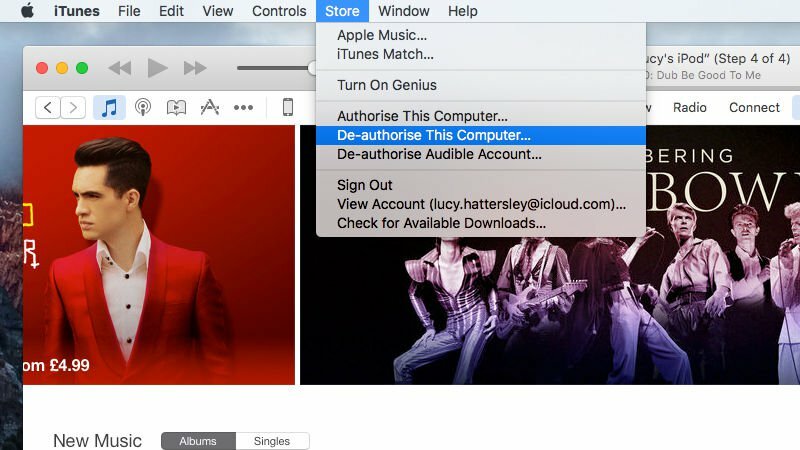 Click Manage Devices under iTunes in the Cloud. Click Remove next to each device associated with your account. Choose Store > Deauthorize This Computer. Tap your account name at the top. If you’ve got it set up, tap Family Sharing (just above the listed devices), tap each member of your family and then tap Remove [Name]. Go back to the Apple ID page and tap Sign Out at the bottom. Tap iTunes & App Store. Tap Apple ID at the top, then Sign Out. Now go to Settings > Music. Scroll to the bottom and tap the Apple ID under Home Sharing. Tap Sign Out. Finally, go to Settings > Messages > Send & Receive. Tap the Apple ID and Sign Out. The answer seems to be that you currently can’t get Apple to delete your accounts (please let us know in the comments if you know otherwise). What you can do, however, is edit your personal information to make it a little less personal. Once you’ve removed your Apple ID from all your devices you can change your name, address and other personal details. Click Unlock Account if requested (and answer security questions). Tap Edit next to Account. Tap Edit next to Payment. Remove your Address and card details. Tap Save. Tap Sign Out in the top-right corner. You should now have removed your Apple ID from all your devices, and changed all of your permanent information. That Apple ID is now toasted. Remember that you won’t be able to access or use any purchases or apps connected to that Apple ID without authorising it on your devices again.